It's Halloween!!!! And the perfect way to celebrate in NYC is parade watching, lots of chocolate treats and a spooky beverage. 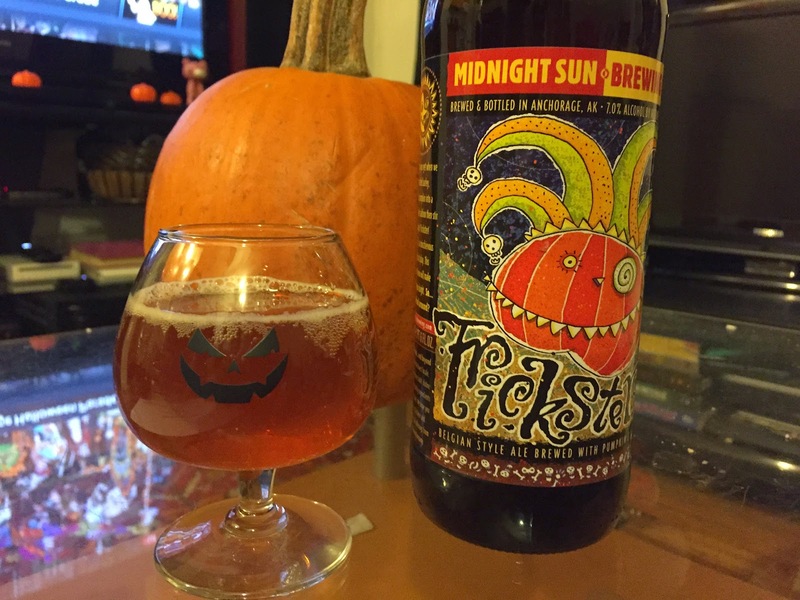 My choice this year is the Trickster from Midnight Sun Brewing Co. out in Alaska. It's a pumpkin ale with a strong fruity aroma almost like a tart candy. The taste however is subtle with ginger and clove spice, earthy pumpkin and lots of Belgium yeast that makes this beer more like a funky saison than a standard fruit beer. It may not be what traditional pumpkin beer lovers would like but I certainly enjoyed it. Happy Halloween!